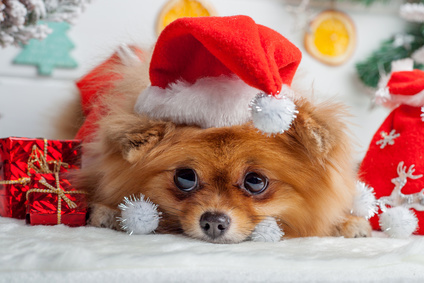 Christmas presents aren’t just for humans anymore and unlike that grumpy house cat, the family dog will jump up and down with excitement when you give him or her one of these gifts for dogs on Christmas morning. 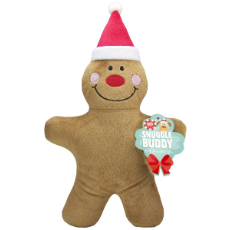 This year there are many more gifts to choose from than in previous years and more locations, both online and in-store, where you can buy them including My Pet Warehouse, PETstock and VetShopAustralia. These retailers have far two many Christmas items for dogs to list them all here, so we’ve selected a few items from each retailer which we think your dog will love! Your dog will love having these bon bons at Christmas. These Christmas bon bons are made of rawhide especially for your pooch. Rawhide is deliciously chewy and this treat will keep your dog entertained over the Christmas period. The festive red and green colours are 100% edible as they are natural food colouring. 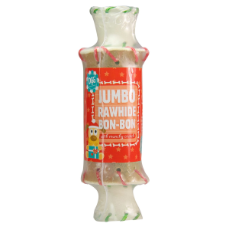 A rawhide bon bon will keep your dog occupied so you can get on with putting up the Christmas tree. Available online and in-store at My Pet Warehouse. Ho Ho Ho, Woof Woof Woof! Santa Paws is is coming to town and he’s looking for the best dressed doggies. Lucky for you Companion Gear have your canine Christmas attire sorted! Transform your dog into a reindeer! 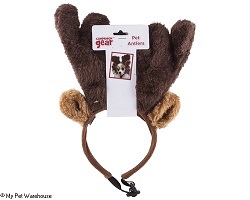 These little furry antlers will really get your dog into the festive cheer. 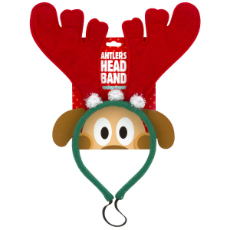 Easy to put on, simply position the antlers on top of your dog’s head and gently adjust the strap under their neck. Fits small and medium size dogs. Available online and in-store at My Pet Warehouse. PETstock Assist Charity Dog. 50% of the profit of the sale of the PETstock Assist Charity Dog will be donated to PETstock Assist to help pets in need. Available online and in-store at PETstock. 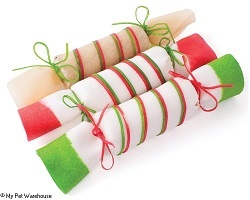 Christmas Rawhide Crackers for Dogs with extra treats inside. This will keep your pooch entertained for hours, days …weeks. Dogs love them. Available online and in-store at PETstock. 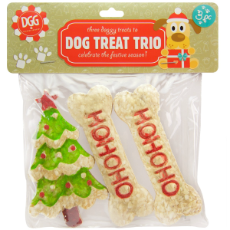 This Rawhide Christmas Treat is ideal to satisfy your dog’s chewing passion. So why not make this Christmas the most special Christmas of all by buying your dog a limited edition Rawhide Treat. Available online and in-store at PETstock. 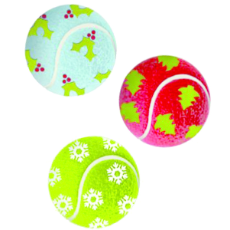 Keep your buddy entertained this holiday season with our holiday themed tennis balls. Available online and in-store at PETstock. What better way to spoil your dog then to buy them a toy. This Christmas toy is specifically designed to keep your dog entertained for hours on end. 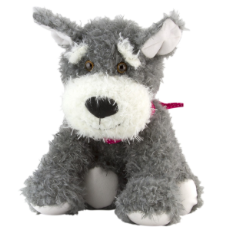 Featuring an internal squeaker and a fleece body, the toy will provide a playful companion for your pooch. Available online and in-store at PETstock. These adorable Reindeer Antlers enable your precious pooch to celebrate Christmas in style. Available online and in-store at PETstock. Great for tossing, tugging and retrieving is the Kong Squeezz Double Ball with Rope. With a protected recessed squeaker and designed for durability, the Kong Squeezz Double Ball with Rope is great for both indoor and outdoor play. Available online at VetShopAustralia. Throbizz is the world’s most versatile ball and toy launcher and is the only throw you will ever need to buy. It is the only multi-thrower in the world that can easily pick up balls in different sizes and toys with any shape and texture. This multi-thrower is available in three different colours green, pink and orange. Available online at VetShopAustralia. For pets that prefer to snuggle up, give them a cuddly companion like the KONG Wild Knots Bear which is soft on the outside and durable on the inside. Wild Knots Bears are sure to be a hit with dogs and their parents. The internal knotted rope skeleton satisfies dogs’ natural instincts, and reinforced plush body provides extra durability. KONG Wild Knots Bears have less stuffing for less mess, and they squeak. With a soft outer body this Kong dog toy is ideal for games of fetch and it also makes a good snuggle buddy for your pooch! 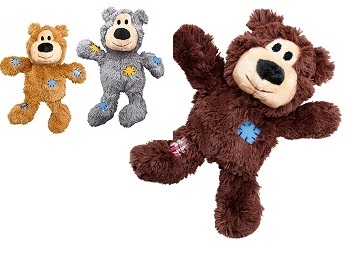 The KONG Wild Knots Bear is available two sizes: small/medium, and large and in three colours; brown, tan or grey. Available online at VetShopAustralia.